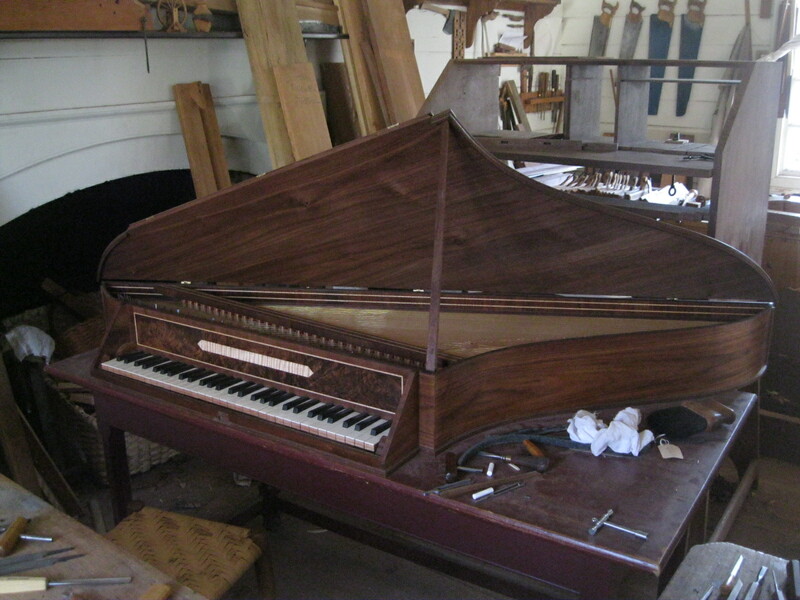 This entry was posted in Harpsichords and Spinets, Shop Happenings. Bookmark the permalink. 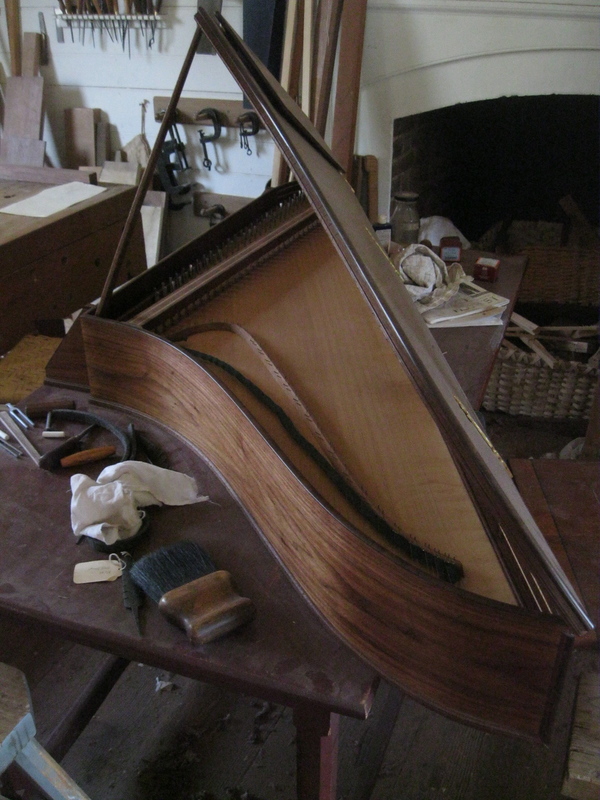 May I ask about the finish: ‘half boiled linseed oil, half spirits of turpentine. Final top coating will be beeswax.”? I assume thinning is to increase penetration? Will the beeswax go directly over the BLO? how long to dry the BLO? I use BLO also on walnut (just did so on a William & Mary spice chest) and it really darkens the wood a lot, maybe more than I always prefer. But it does pop the grain nicely. Indeed, there have been times when we have decided not to oil walnut for that very reason, darkening. I’m not sure if the turpentine thinner helps alleviate that problem. We try to be light-handed with the oil generally. I like to let this mixture mentioned in the post dry for about a week, which is not hard in here given our other responsibilities. And yes the wax will go on top, which I have yet to do. As we are finding more evidence of this oil practice historically, we may use it more frequently than in the past. Thanks for the questions. I don’t think you need to sand the wood after planing. 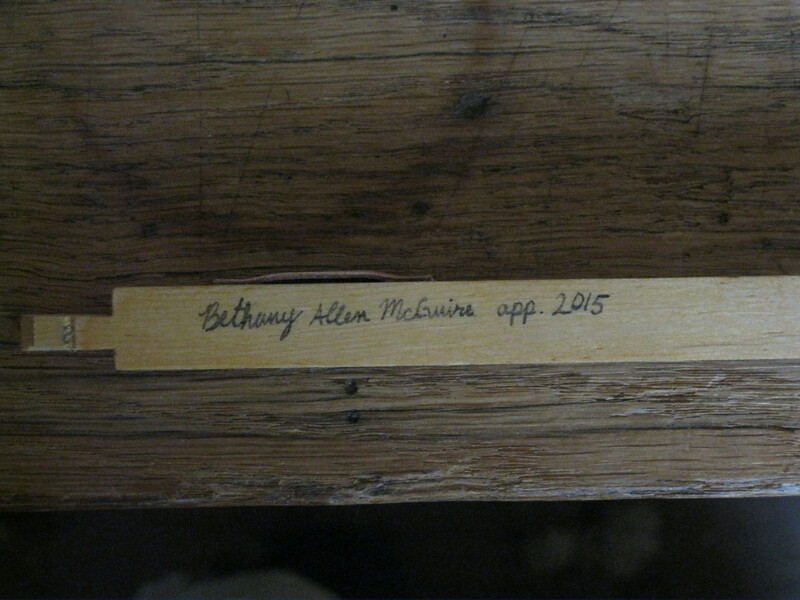 I use an ink stamp on maple veneer to create my business cards. 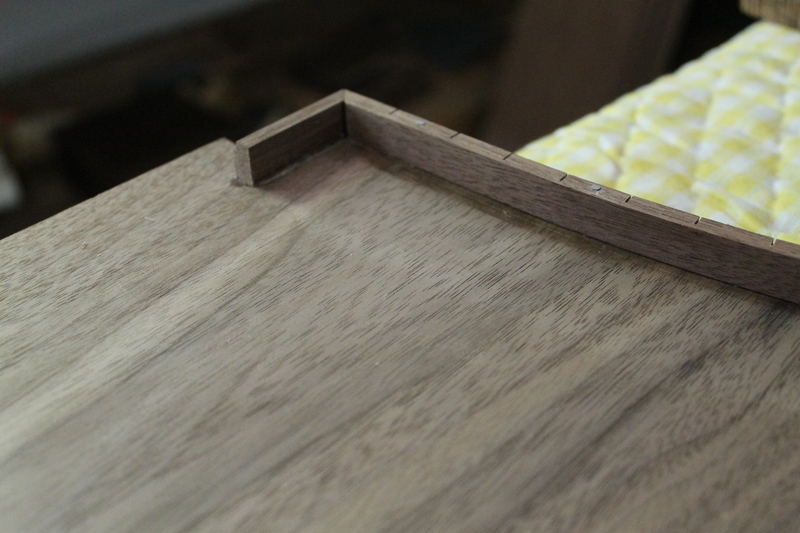 Before applying the stamp, I seal coat the veneer with a one pound cut of clear shellac. Brush on a coat, or two. 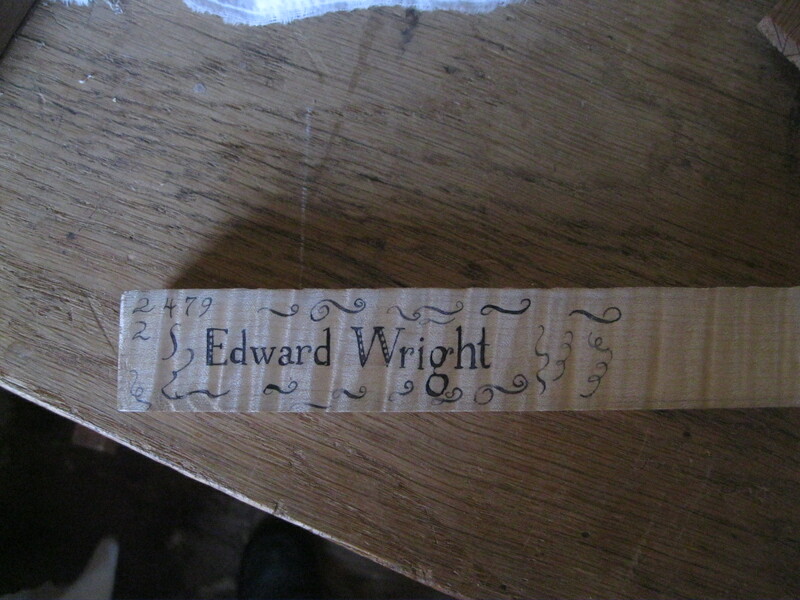 It prevents the ink from bleeding through the veneer, and feathering. Works well, and saves sanding. Thanks for the observation. 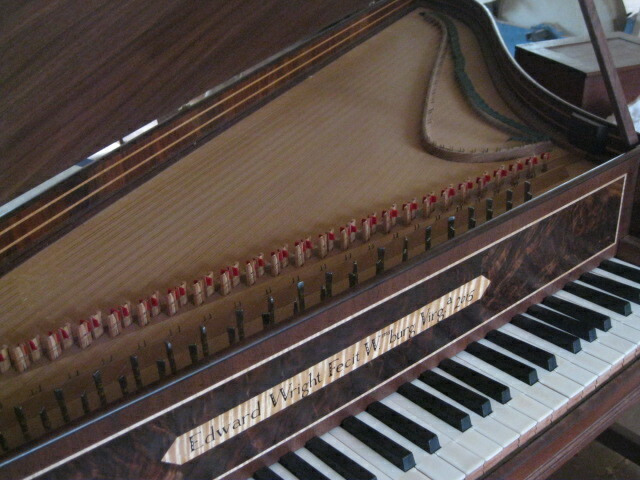 Yes, I was thinking of one time when the cabinetmakers used a fine brick dust treatment on mahogany as a filler (Sheraton). So I figured a light sanding and sinking the dust into the pores via the lac would work similarly. Probably I didn’t have to, like you say. The maple was really good off the plane, so I did wonder. It all seems to work in the long run. Thanks. 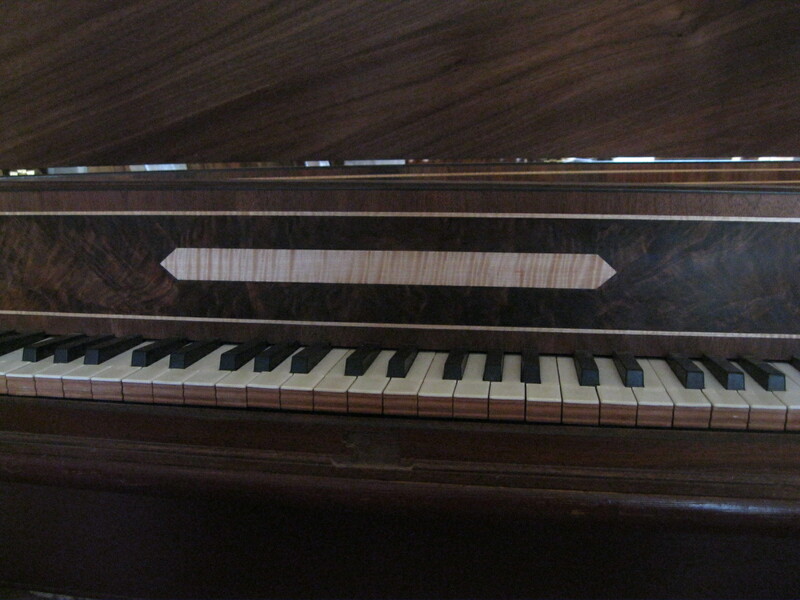 This sort of instrument was the inspiration, I believe, for the Zuckerman kits years ago. 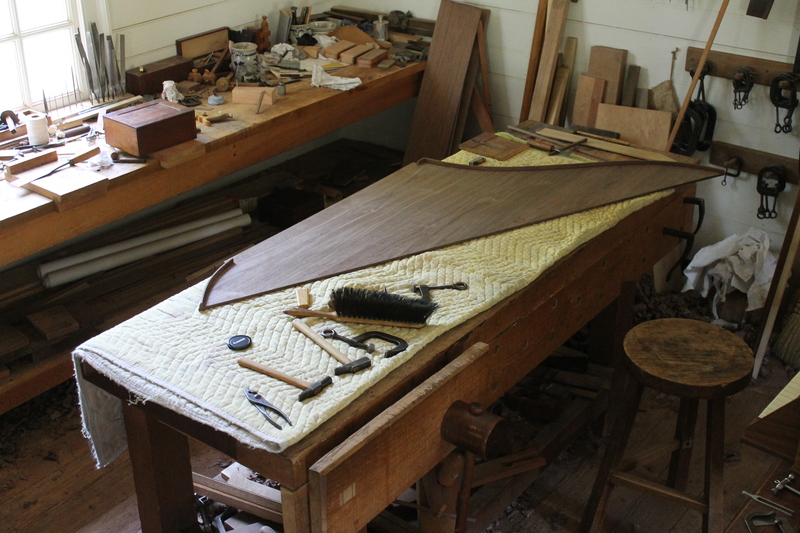 18th century-style instruments using 20th century materials and tools. 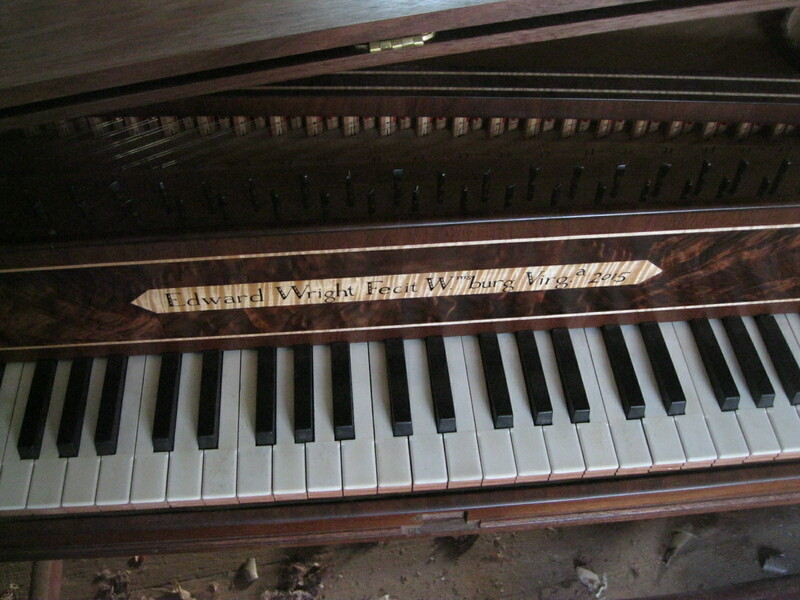 What material is used for the natural keys?